Are you curious about Prestashop version 1.7, which is going to launch soon? Yes, right? What are the revolutionary features and what will be changed in comparision with Prestashop 1.6 will be express clearly in this article. Will Version 1.7 be built with Bootstrap? If you’re building a brand new store with a custom-made theme and modules, then you can use whatever fits your needs. 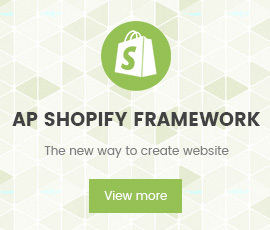 If you’re creating a theme in order to sell it on the PrestaShop Addons marketplace, then you MUST use Bootstrap. Why is Bootstrap used for Addons? PrestaShop ecosystem relies on the Bootstrap framework for both its themes and modules, so for Prestashop version 1.7, developers do not want to break that rule. Prestashop designers want to make sure that users who buy themes or modules from the community, can always make sure of their compatibility and they are not confused over whether the modules they chose for their shop work with their theme or not. This is why the PrestaShop Addons marketplace will only accept 1.7 themes that use Bootstrap, and will refuse themes that do not. The theme validator will be updated accordingly. Why there are only theme.js and theme.css for the whole site? With 1.7, we just include these files in a single minimized theme.js file using Webpack. Then, modules are free to add their own files, after a single core JS file instead of 30. From there on, the browser’s cache does its job. So both of the new theme’s JS/CSS files are fewer, meaning LESS HTTP queries and SMALLER. Yay! Do themes still use Smarty or Twig (Symfony’s templating system)? The default 1.7 themes use Smarty in contrast to the 1.5-1.6 theme system. PS 1.7 uses Smarty as a templating engine, not as a programming language, so developers and designers should really appreciate the change. 1.6 Modules still work with Prestashop 1.7? Modules built for PrestaShop 1.6 will mostly still work with 1.7, except payment modules, which have seen a small API change. Their presentation code will probably have to be reworked in order to look good. How do the payment modules change? There are some changes happening to the payment API, the explanation and an available example in Build:see this article. You can find a sample payment module here: https://github.com/PrestaShop/payment example. Is Prestashop 1.7 switching from Smarty to Twing? As for Prestashop 1.5 and 1.6, there used to be one default templating engine, which is Smarty. • New back office pages are written in Twig. • Legacy ones are still written in Smarty. Modules (both front office and back office) can use whatever template engine they want, for example pure PHP, Smarty, Twig, Jade, as was already possible in 1.6, even though the default template engine is Smarty and using another one will require a bit of work from the developer. These changes mentioned above are absolutely not able to outline the comprehensive picture of Prestashop 1.7 since all web developers are trying every single day to complete and release the perfect template. New features will be added, changed or improved. But now, you can start downloading trial Prestashop version 1.7 and give feedbacks. Your contributions will help us to create state of the art work.